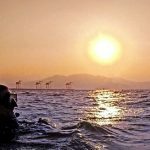 Here’s my list of the best open circuit technical diving computers on the market in 2018. I am only including ‘true’ technical diving computers; because there are some awful impostors on the market nowadays. Simply boasting multiple gasses and/or trimix capability does NOT make a computer ideal for modern technical diving. Most importantly, the choice of algorithm is critical for technical divers – and this is where manufacturers who insist upon using secretive, proprietary models fall woefully short. These algorithms aren’t easily predictable – and this makes them a liability for carefully planned technical dives. The order of the computers reflects my general impression (having not personally tested all the models mentioned). At the bottom of the list is a computer that some people have asked why I didn’t include. I don’t think it “made the grade” with respect to the parameters I’ve outlined. I’ve included it now, for comparison sake. For the record, I currently dive a Petrel 2. 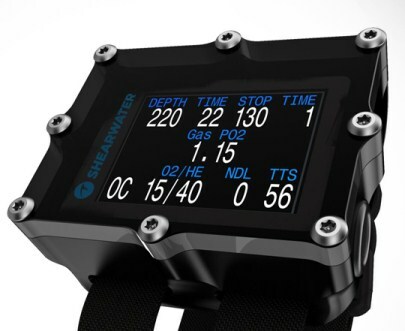 Shearwater remains, IMHO, the market leader for excellent technical diving computers; and the Perdix (released in late 2015) is their most capable unit to date. It must have been a hard task to improve upon the awesome Petrel 2, but switching to an injected/ moulded case allowed Shearwater to substantially reduce housing bulk. An improved clarity screen, even if slightly smaller than the Petrel 2’s, allows a 30% improvement in battery life. I particularly like that Shearwater opts for a user-replaceable AA (or SAFT LS14500) battery. These are easy to obtain in any remote corner of the globe and a boon for remote expeditions or in locations where mains power-supply for recharging may be unreliable. 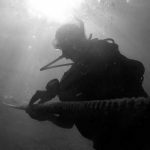 What makes Shearwater a very relevant technical diving computer is primarily the flexibility inherent in its firmware. The in-water display allows a high degree of user customization; with excellent options like ‘GF99’ (the current gradient factor %) and ‘@+5’ (predicted deco 5 minutes in the future) giving the diver much better situational awareness during the course of a technical dive. Nearly all of the diving parameters are also changeable in-water, so you can add or remove gasses; even change your high gradient factor setting, on-the-fly to react to changing circumstances that may present themselves. The computer ships with Buehlmann ZH-L16C GF… and has the option to upgrade to VPM-B; which allows the computer to mate very well with the most popular technical dive planning software. Based in Canada, Shearwater has an excellent reputation for customer service. I know several divers who’ve received very rapid replacement units when a fault has occurred. 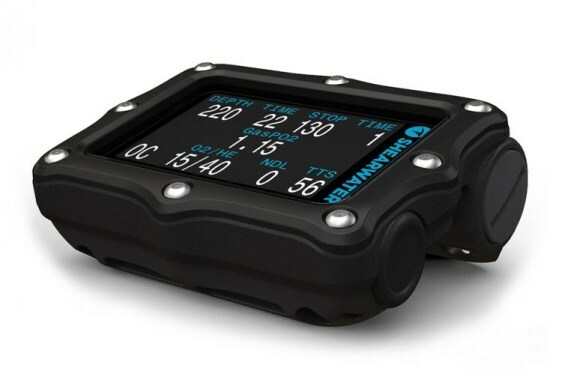 Earlier in 2017, Shearwater released an Air Integrated (AI) version of the Perdix. It probably won’t have much interest from the technical diving community, but does fulfil a demand from recreational divers; many have lobbied for an AI variant of the Perdix for a while. The Petrel 2 is the predecessor of the Perdix and was released in 2014. It follows in the footsteps of the original Petrel 1 (2012) and the older Predator. The firmware and on-screen information options are all identical to the Perdix, but the Petrel 2 has a more bulky casing, slightly higher battery usage (the Perdix uses 30% less battery) and slightly less refined LCD display quality. The Petrel 2 is available with Fisher connector for CCR divers; there is a DiveCAN model for the JJ-CCR also. As with the Perdix, the firmware is often updated for free; Shearwater seems dedicated to constantly refining and improving on functionality. Comparison of Perdix (left) versus Petrel 2 (right) dimensions. What makes the Petrel/Perdix exceptional for technical divers is that it will constantly re-calculate your decompression even if planned stops are missed. 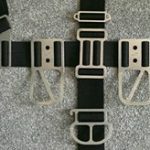 This can make the unit dangerous for untrained divers, as it would permit far less than optimal ascent schedules in response to sloppy diving. However, it won’t ever abandon you when things go wrong. 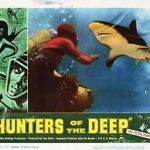 I think it’s unconscionable that any modern technical diving computer would ‘give up’ on the diver because of a stop violation, but some manufacturers do persist with that liability-driven mentality. The Petrel 2 does feel like a ‘brick’ compared to the sleek, lightweight Perdix; although I personally like the reassurance of that rugged ‘milled from a solid block of Delrin plastic’ solidity. My Petrel2 has been accidentally catapulted across a dive centre to smash onto the concrete floor – and the ‘thunk’ on landing caused immediate relief. A lesser unit would have cracked. On a negative side, the Petrel 2 does miss the option to use integral bungees (my preference). I had to make my own adapters to make bungees work. The OSTC4 could easily rise to No.# 2 on the list, given some more time to be proven by users. It’s already getting very good reviews. It has many innovations, like inductive charging and dual-algorithm processing. It also has the most beautiful high-resolution screen on the market. The computer features a 32Bit dual-core processor. This offers it sufficient computing power to run BOTH the Bühlmann ZH-L16+GF and VPM-B algorithms simultaneously during dives. You can switch and/or compare whenever you want. The Li-Ion inductive rechargeable battery is user changeable, which saves a lot of hassle when battery replacement intervals come. I’d like to see some more information options on this computer – like the @+5 and GF99 displays. This is one area where tech computer manufacturers need to get more creative. 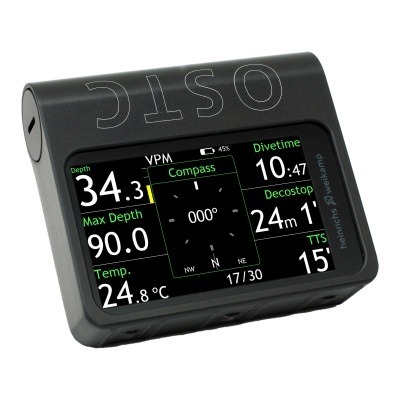 After all, the intelligent information display is the main purpose of the computer; and what serious technical divers look for. With the biggest, clearest display currently on the market, it enables a lot of valuable information to be displayed on a single, main screen during dives. It has a wet connector for use with CCR and there is an option to get the hwHUD system. German instrument manufacturer Heinrichs Weikamp produce several technical diving computers that receive excellent feedback from divers. Customer service is reportedly excellent, with an active user forum and frequent (free) firmware updates). One admirable aspect to Heinrichs Weikamps is their decision to make their computer totally open-source. This enables a high degree of transparency and predictability for technical divers. 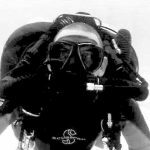 I’ve heard of some experienced technical divers even installing their own custom algorithms and other software. The computer also features an optical cable interface for CCR divers (with set-points option). The metal and ceramic build is of very high quality and provides the unit with a high level of ruggedness. Heinrichs Weikamp doesn’t have the big distribution network that other, larger, computer manufacturers have; so you tend to see less of them in use outside of Europe. Nonetheless, the feedback from OSTC3 users is overwhelmingly positive. 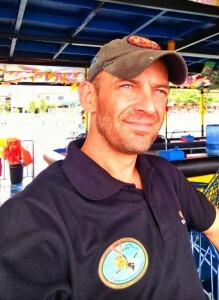 The Seabear T1 features the appropriate algorithms, robust housing and bright screen that you’d expect to find on a dedicated technical diving computer. The biggest innovation with the T1 is the user interface (UI), which makes use of a unique push wheel to quickly scroll and select within the menus. One of the other novelties of Seabear computers is the NFC (Near Field Communications) function – which allows communication between smart devices (i.e. your phone) and linking with online social media. At present, there seems to be no option to install/unlock alternative deco algorithms (VPM-B or RGBM), but the user has full control over the gradient factors in the Bühlmann ZH-L16C model provided. 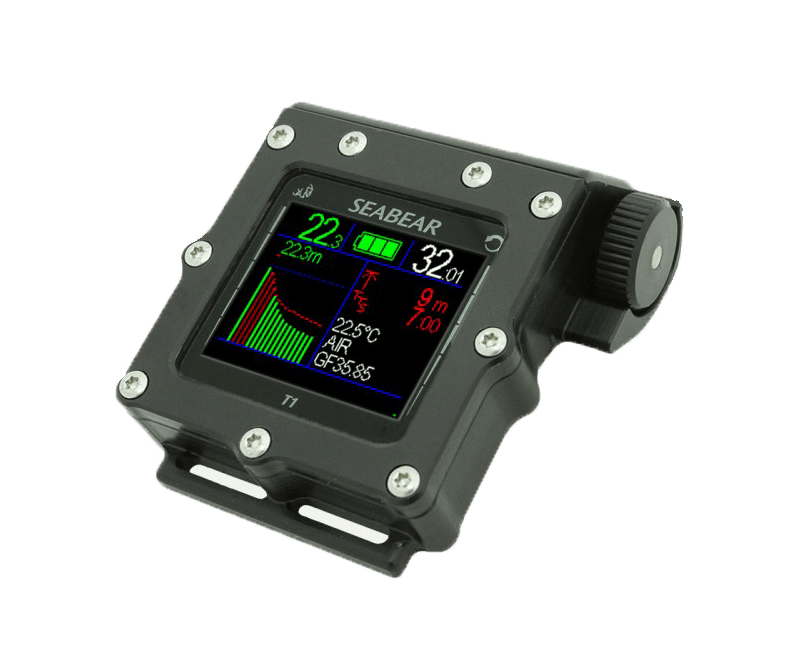 When performing decompression, the Seabear T1 has the main screen and a second, detailed, deco info screen. I like that stops are counted in minutes and seconds. This should be a standard on all tech computers; not because that level of resolution is critical for off-gassing, but rather – because it helps teams coordinate departure from stops on the ascent. 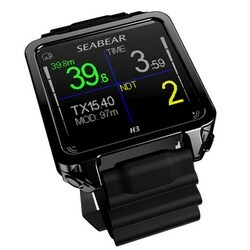 The Seabear T1 doesn’t seem to have much scope for divers to specify and customize their own information screens in dive mode. Personally, I’d rather have technical diving features like (Shearwater’s) GF99 and @+5 than integrated Facebook sharing… but that’s just me. The Ratio is relatively new on the market and is very loaded with features. It has an integrated GNSS (GPS, GLONASS, Beidou, Quasi-Zenith) system for dry use only, along with options to download additional integrated apps like a magnetometer, luxmeter, altimeter and barometer. It also features an (optional) USB plug-in O2 analyser. 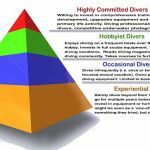 Recreational divers can set their own preferences for deep stops (standard or Pyle method) and can manually input/designate what method of safety stops they want to complete. The computer also features visual, audible and vibration alarms. The Seabear H3 is the first watch-sized true technical computer and features both a 3D digital compass and altimeter – making it a good options for outdoor activities above-water also. The UI seems simple, using 2 buttons with short/long press actions to navigate and select within the menus. The big selling point for this tech computer is a small size and excellent build quality. It also has modern social media features’ where it can link to Android phones using the NFC technology… for instant uploading and sharing of dive logs. Technical divers using the Seabear H3 have many good things to say about the computer. It certainly looks nice… and is the only true technical diving computer available in a wearable watch size. 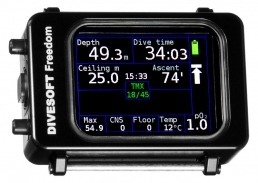 The Divesoft Freedom is available with varied firmware options; bottom timer, nitrox (1 gas >40%), advanced nitrox (3 gas >100%) and trimix (9 gas w/helium). The four-button long/short/simultaneous-press user interface seems a little complicated to use, but I’ve heard it’s quite intuitive to learn. The computer has an add-on extra O2 analyzer function and can link to CCR (it’s used as a standard with the (Liberty CCR). It is even loaded with a suite of basic games to help make your decompression stops pass quicker. Sadly, the website/manual is unclear on the expected battery duration on dives/standby. The Li-On battery charges via USB in 5 hours. 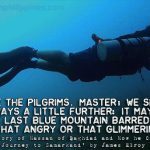 What Others Are Reading What is Diving Experience? With that large OLED screen, multiple functions and vibrating alarms, I would be concerned that battery life might be noticeably less than other technical diving computers on the market. The Russian made AV1 is similar in size, display and basic functions to the Shearwater Petrel2. It is available with a Fischer connector (the AV1F) and custom heads are manufactured for use with the Inspiration Classic/Vision and Poseidon MKIV CCRs. However, unlike the Petrel2, the AV1 uses a USB rechargeable Li-Ion battery which necessitates removing/replacing a waterproof cap during each charging cycle. This dry connection does present a risk of flooding. One nice feature on the AV1 is that the diver can access the full deco plan on a separate screen. This allows a little more forward planning than only having a TTS and current stop information available. It comes pre-installed with the game ‘Python’ to make decompression stops pass a little quicker. The AV1 doesn’t have additional diver information like GF99, @+5 or real-time tissue saturation graphs. The majority of additional software functions are aimed at CCR divers, for whom this unit seems primarily focused. 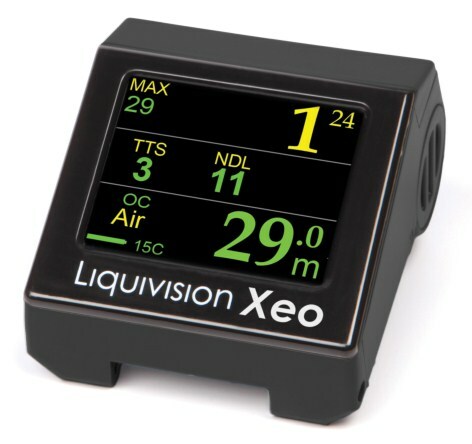 Liquivision caused a big stir in the technical diving computer market when they first released the X1 a decade ago. The latest generation of Liquivision computer is less trail-blazing than competitors like Shearwater, Heinricks Weikamp and Seabear. It nonetheless delivers substantial functionality at a competitive price. The display is not fully diver customizable, but there are four different standard displays offered for selection; although these mostly deal with digit size, rather than the display of different information or parameters. One debatable feature is the gas ‘auto switch’; which automatically switches you to the ‘best’ programmed deco gas on the ascent. Personally, I’d prefer to at least confirm a switch, before the computer did it for me. You can, however, manually change gasses once an ‘auto-switch’ has been conducted. I can think of several scenarios where a diver could do insufficient decompression because of an auto-switch that they weren’t aware of. I do like that the Xeo displays ascent (and descent) rate in terms of a measurable speed (meters or feet per minute). 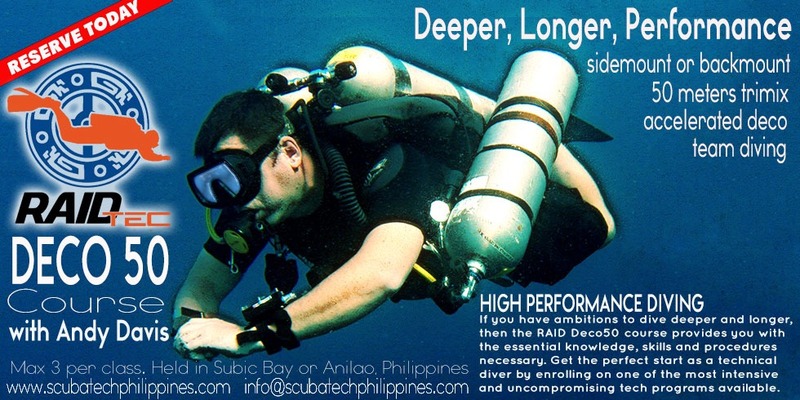 This is beneficial for novice technical divers who are still gaining experience inconsistent ascent speeds. Liquivision does seem to have dropped in market share over the last few years. The old ‘X1’ was once-upon-a-time THE technical diving computer to lust after. Following models don’t seem to have innovated sufficiently and missed some of the attractive features offered by competitors. It is, however, very much a ‘real’ tech diving computer. I ‘ve also heard a few grumbles in the tech diving community about their customer service provision…. but I have no personal experience of that. There seem to be a few ‘versions’ of the NiTek Q available; these need varied upgrades/unlocks for not just gasses, but also (normally intrinsic) features like setting custom gradient factors and the digital compass. I’ve based my specifications/description on the fully unlocked ‘He’ model described at Dive Gear Express. Without the Gradient Factor upgrade, you are limited to only 4 pre-set gradient factor selections. 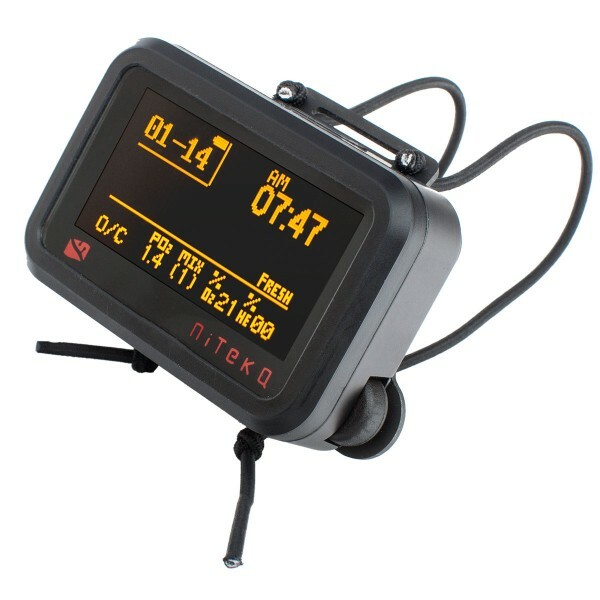 Listed at only $399, fully unlocked, the NiTek Q must be one of the cheapest technical diving computers on the market. What concerns me with the NiTek Q is that it uses a dry connection for recharging the battery. If you make a mistake when replacing the charging cover/plug, you can damage/flood the unit. A wet connector would be much more preferable. I also cannot find specifications for the battery life per recharge. 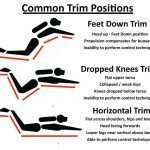 This is important information for technical divers and should be featured prominently by manufacturers in their product literature. 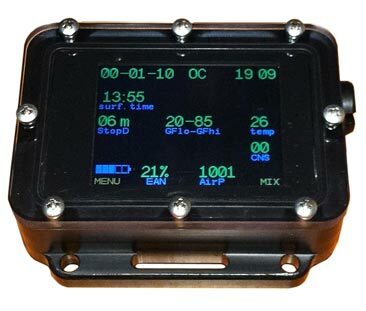 There are no options for diver customization of the display screen, and the computer does not provide the level of sophisticated dive management information that is available on higher-end technical computers. The single-colour OLED screen is certainly bright and clear, but having only one colour diminishes the users’ overall information management capacity. 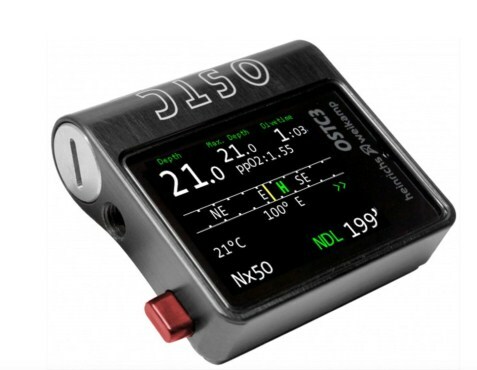 The NiTek Q, with trimix and custom gradient factor upgrades, can certainly do the job at a low budget; but serious technical divers might demand more functionality and information display from a computer. 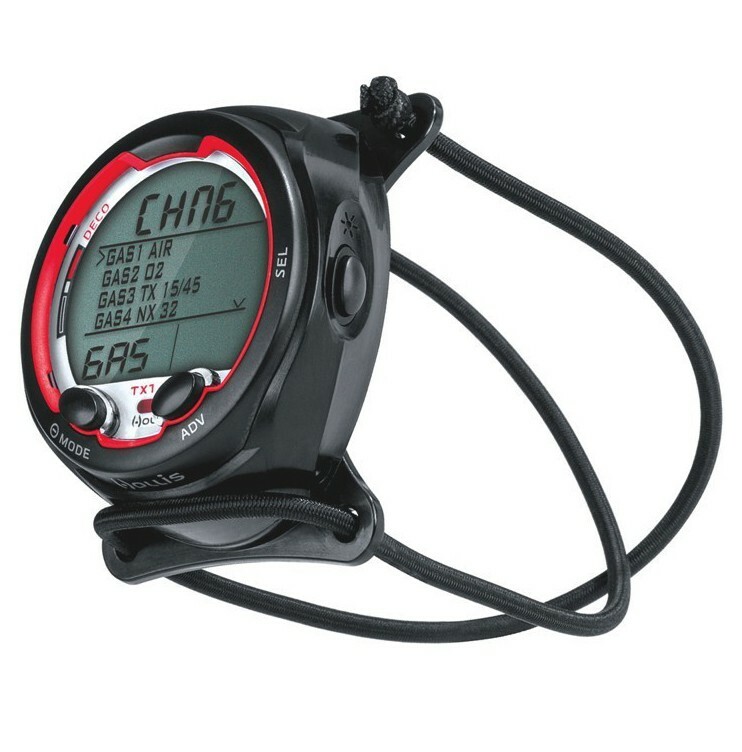 The Hollis TX1 is a compact ‘puck’ style dive computer that lacks the colourful, high-definition screens of the other examples given previously. However, it is a full function trimix-capable computer that uses the well-established Bühlmann ZH-L16C GF algorithm. 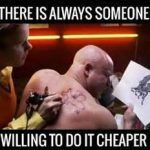 I see this computer as a relatively low-budget model, and it does come in a few hundred dollars cheaper than other computers on the list. 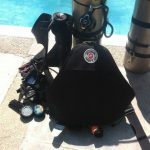 It’s likely to be an option for budget-minded novice technical divers, or it might be an option for a backup computer for more established technical divers. The advantage is that it can run the same algorithm/GF as the higher-end computers. The dot matrix screen is considerably harder to read than a modern generation LCD or OLED screen, presents less information and, of course, requires a backlight to be activated when reading the screen. 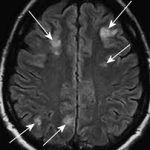 This reduces situational awareness when diving in dark water (overhead environment or very deep and turbid water). Most divers will be familiar with the UI style and menu structuring from having used similar puck-style recreational computers. Because the display is black and white, the computer relies on audible alarms – rather than the visual colour warnings ubiquitous on OLED/LCD screen computers. 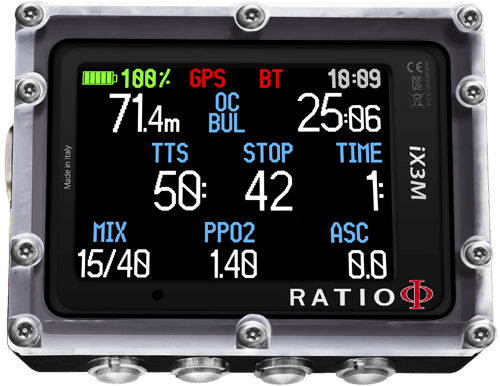 The Hollis TX1 can be set-up with 6 (optional) gas transmitters, although I don’t know many (any…) experience technical divers who have much faith in transmitter technology until now. I do like having user replaceable batteries, which the Hollis makes use of;’ but I can be hard to source a CR2450 at short notice in remote locations or less well-developed regions. I don’t like unpredictable algorithms. As Suunto state: “Reduced gradient (variable) M-values based on diving habit and dive violations“. Suunto interprets this as “additional safety”…. but for many technical divers it amounts to unpredictable behaviour. 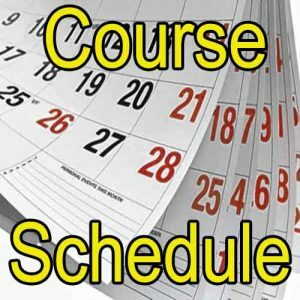 If you carefully pre-plan a dive with X bottom time, Y depth and using Z gasses; the decompression schedule should remain constant. Suunto RGBM will unilaterally, and without indication, increase that mandatory decompression if you momentarily exceed an ascent rate, drop a bit lower than a previous dive, or dive over multiple days. But wait… I planned my deco…and my gas consumption… do I now have enough gas to do the deco stops that the Eon Steel mandates? The ‘fused’ model itself is a splice between recreational/regular RGBM and a specific technical/trimix adaptation of the model. Where and when do the models switch from one to the other? We don’t know because Suunto doesn’t publish this modelling information. In general, serious technical divers want to understand how an algorithm functions and have the capacity to refine ‘deco curves’ to suit their preferences and unique individual needs. This is impossible with Suunto Fused RGBM. The only choice presented to divers is the level of conservatism (-2 Aggressive to +2 conservative). This is very ‘recreational’ in approach… and not the level of sophisticated algorithmic manipulation that technical divers come to expect with models like Bühlmann ZH-L16 with full gradient factor control. Because Suunto Fused RGBM is also a proprietary (commercially secretive) algorithm, you won’t find it featured on any of the popular decompression planning software like Multi-Deco, V-Planner, GAP or Decoplanner. You have to use Suunto’s quite limited dive planning software. It also won’t fit in well with other technical divers who would probably be using Bühlmann or VPM-B models. Ted: Right. Yes. OK, alright. I see where you’re going. Suunto software is also chock full of ‘obstructive safety protocols that have no part in technical diving. 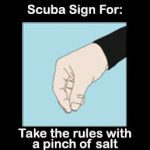 They may be useful for keeping unaware or incautious recreational divers safe, but those protocols pose real issues for technical divers. An example of this is the Suunto “Algorithm Lock”, whereby the computer automatically shuts you out for 48 hours if you violate a decompression ceiling for more than 3 minutes. The screen will display only an ‘ERROR’ message. 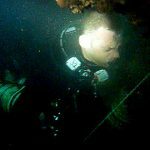 If, as a technical diver, you were in a position where you had to ascend beyond a designated stop (I can think of a few examples of those), the computer algorithm would simply abandon you. Compare that to other tech computers, which would re-calculate the ‘next best’ decompression schedule to get you safely to the surface. 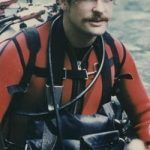 Modern technical diving computers should never abandon the diver in-water. Suunto computers always add a safety stop. This means that when in decompression, the TTS (time-to-surface) always reads 3 minutes longer than is actually demanded by the algorithm. 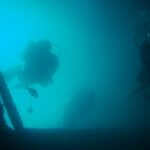 It’s annoying… and I’ve seen it confuse more than a few novice technical divers. Do I have 5 minutes of decompression to complete or 8 minutes…. why is this unclear? 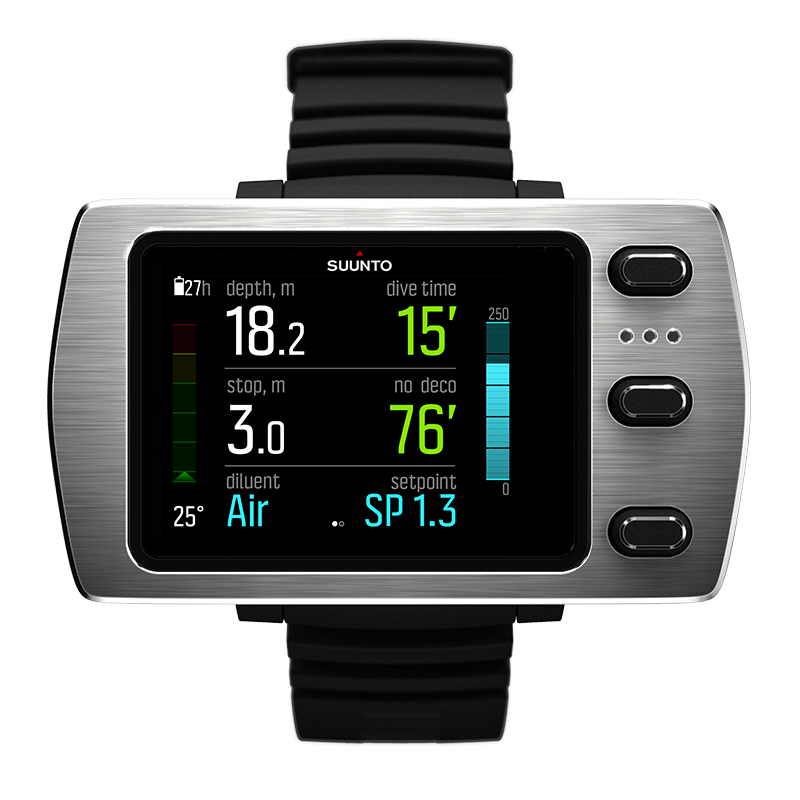 The Suunto Eon Steel allows a choice between 4 dive screens. It cannot be fully customized like, for instance, a Shearwater Perdix user can select which information is displayed, and where on the screen they want it. Suunto uses the term “full customization’ throughout their advertisements and product literature for the Eon Steel. I find it one of the least customizable technical computers on the market. 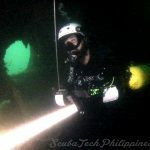 Overall, I feel that the Suunto Eon Steel markets itself mostly to recreational divers who want a computer that “appears technical” but actually operates like a limiting recreational diving computer. 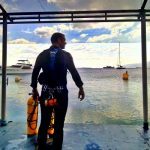 It’s almost “faux-tech’; a computer that looks great on recreational dives, but falls very short on technical dives. A modern technical diving computer simply cannot give you an “ERROR” screen if you are forced to adopt an ascent profile that varies from the ideal. 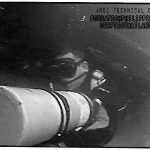 Nor should it amend the decompression algorithm based on “diving habits” and “dive violations” once decompression and gas plans have been committed to by the technical diver.